The First Noel is a traditional Christmas carol, originally titled "The First Nowell." Lyrics retrieved from Carols, Old and New (1879).Noel is an early English synonym of "Christmas." 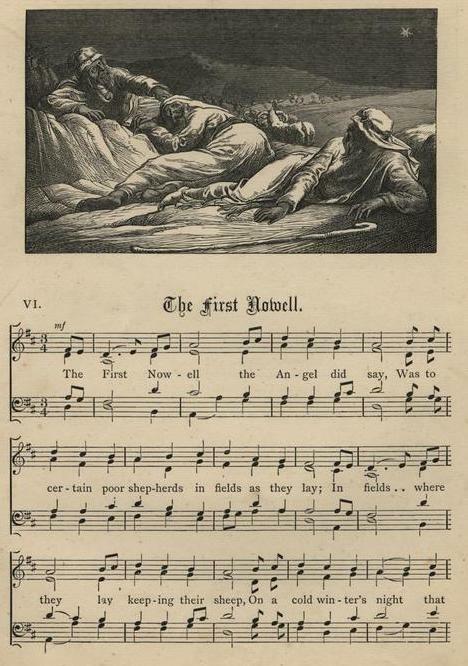 Sheet music from "The First Nowell"
To Bethlehem's shepherds as they lay. The star their guide where'er it went. Add The First Noel to your own personal library.